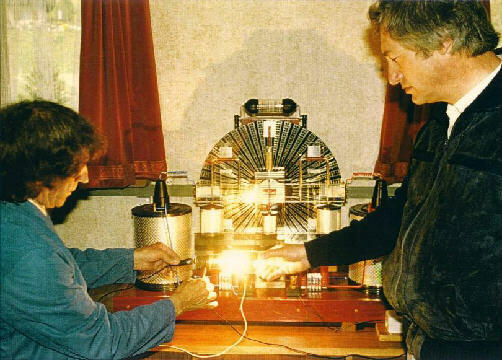 Paul Baumann is one of the few people in the last 40 years who built and demonstrated fuelless, self-running machines. The reason he was never “suppressed” is that he never showed anyone how or why the machines worked, and was not interested in commercial development. As a member of the Methernitha Christian Community, in Linden, Switzerland, he firmly believed that humanity was not ready to be responsible for the knowledge.